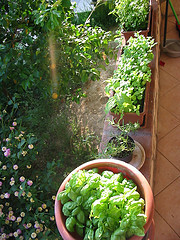 Herbs for Health. What Benefits Can You Expect? Herbs have long been used for medicinal purposes and are still useful to this day. Once you know about the health benefits of herbs, it can still be difficult to figure out which one to use for which health issue. There are entire herbal books in existence that explain all the uses for each herb, but you can get started with the basics much faster. Your immune system is what keeps diseases at bay and while most people have a decent immune system, you can increase the effectiveness of your body’s defense systems by taking herbs. While you can certainly start supplementing when you see the first symptom of a cold or the flu, herbs are far more effective when taken regularly to keep the system strong. This enables the body to fight off potential diseases without suffering a single symptom. 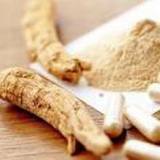 Garlic, echinacea and ginseng are all excellent for increasing the body’s defenses and you will find that they are all quite pleasant to take. Garlic is the most likely to be difficult, but can be found in capsules or included in your food, making it easier to take. Echinacea and ginseng can be taken in tea form. If you prefer to go with a home remedy, rather than opt for traditional painkillers, lavender and Capsicum are both excellent options. Capsicum actually blocks pain transmissions from skin to nervous system while lavender relaxes and reduces the pain levels. With so many people looking to lose weight, the market abounds with pills and drinks that promise sveltness in no time flat. While most of these are not effective long term, herbs can be your best friend as you work to lose weight. Capsicum increases the metabolism so you burn more calories rapidly. Aloe vera is another option, as it helps the body burn fat rather than store it. A number of herbs offer anti-bacterial and anti-septic properties, making them useful in the treatment and prevention of infections. Garlic is one of the more popular ones, but lavender is also a natural antibiotic, as is marjoram. Who wouldn’t want to be smarter? With herbs, you can give your brain a little boost. Ginkgo is perhaps the best known herb for increasing mental function and memory. It has even been used to stave off dementia and the effects of Alzheimer’s. You can also use ginseng for a mental boost. In today’s busy world, stress related health problems are on the rise. Anxiety, depression and even physical issues like muscle aches and headaches can be caused by stress. With the right herbs, you can reduce stress and many of the problems that come along with it. 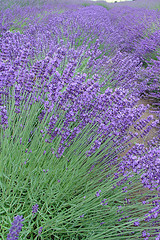 Lavender is one of the best options for eliminating the anxiety of a stressful day and relaxing. Just the aroma can help you out. Ginseng is also a good choice for stress reduction, particularly when taken in a tea. You can mix it with other herbs to boost the benefits. These are just a handful of the health benefits of herbs. Most minor health issues can be treated naturally, at home, if you just know which herbs to use.